This article describes the data/samples/objects/grass_02.cpp sample. It is also required to enable intersection with parent objects to make the grass grow upon the terrain. Specify the required options: maximum visible and fade distances, width and height, step for cells used to render grass, density factor, etc. 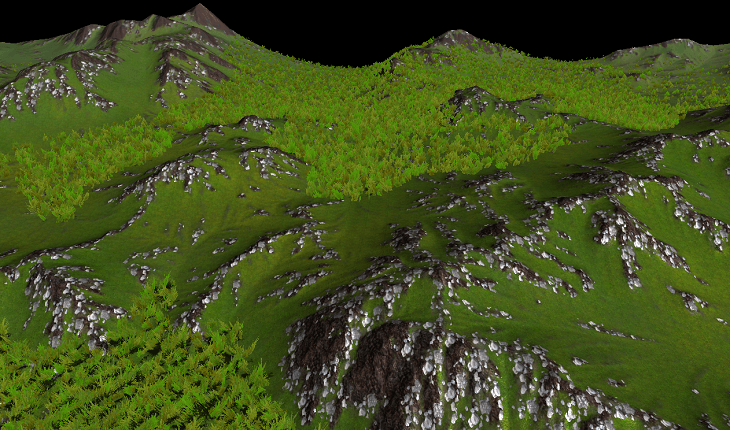 In this sample, the samples/common/terrains/terrain_grass.png mask is used.